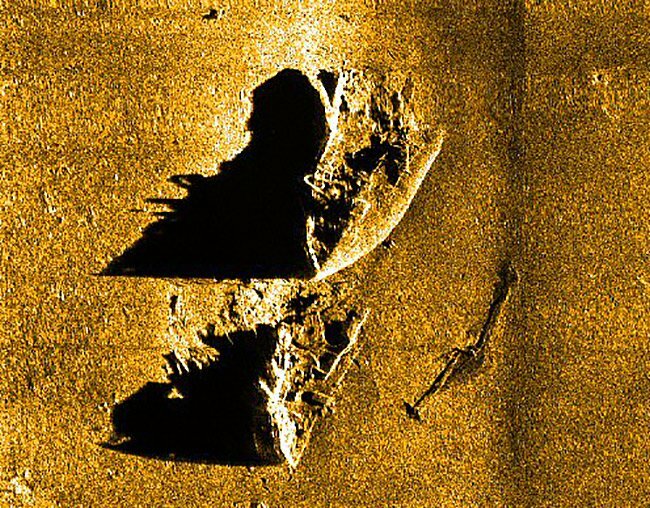 JMS is provided engineering and technical support to the Ocean Technology Foundation’s (OTF) to locate the remains of this historic naval warship Bonhomme Richard including the development of the team’s search area based on computer drift simulations. The first expedition to find the remains of John Paul Jones’ famous vessel was completed this summer. The expedition took place 20 miles off the coast of England in the North Sea from 17 July though 19 August. The Bonhomme Richard was captained by John Paul Jones during the most important single ship naval battle of the American Revolution. John Paul Jones is perhaps best known during this battle for making his infamous cry, “I have not yet begun to fight!” Finding the remains of this national treasure has been compared in historical significance to the discovery of the wreck of the Titanic. The expedition team was able to survey for 21 days. Only 10 days of bad weather prohibited magnetometer and side scan sonar operations. The team announced that nearly 70% of its planned search area was covered during this season’s expedition. The team was thrilled that the weather was favorable enough to allow so much delicate work in such an unforgiving part world. The team was also excited to report that they located four wrecks sites that look promising. They intend to return next year with a remotely operated vehicle (ROV) for a more detailed survey. The four wrecks were located within the 50 square mile search area that was developed by JMS using computer simulation. Hundreds of eyewitness accounts recorded during the 1779 battle were used to reconstruct a complex timeline of events surrounding the vessel’s final hours afloat. The Bonhomme Richard drifted for 36 hours after the battle before it sank somewhere off the Yorkshire coast of England. 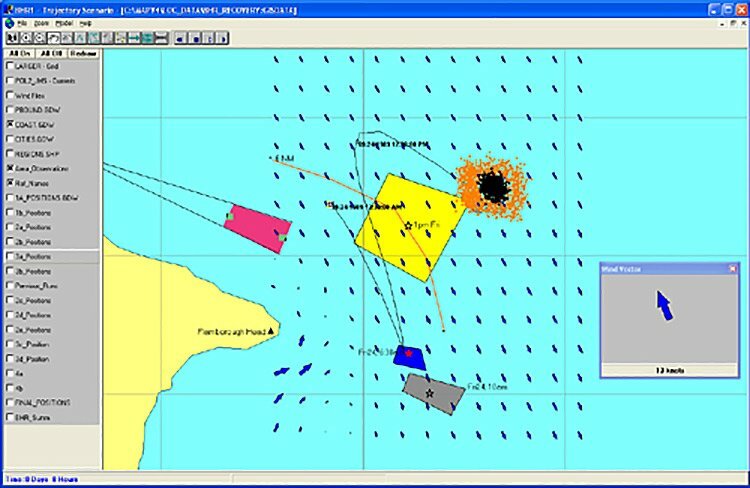 Using the timeline of eyewitness accounts and dozens of drift simulations of a computer generated drifting Bonhomme Richard they developed the team’s final search area. JMS’s method for finding the final resting place of the vessel has never been employed before – and never to locate a ship that was lost over 225 years ago. Returning next year with an ROV will enable the team to get a better view of the target sites, and to take video and still images for further analysis. Processing of the magnetometer and sidescan data gathered this summer will take place over the next couple of months to make a mosaic of some of the wreck sites and to get a better idea of how the debris fields are laid out. They also expect that when all of this year’s data is analyzed, there will be additional sites that warrant further exploration. The toughest challenge will be securing funding for next year’s expedition. Produced a comprehensive Geographic Information Systems (GIS) map and database of potentially significant cultural resources, and surface geologic features in the project area where the Bonhomme Richard is believed to have sunk. Systematically mapped the seafloor in the project area using magnetometry and high-resolution acoustic data that can be used for a variety of base maps, GIS coverage, and scientific visualization methods. Began the interpretation and prioritization of individual magnetic anomalies, anomaly complexes, and acoustic targets according to potential cultural significance and association to Bonhomme Richard. Promoted awareness and appreciation in students, educators and the public of Captain John Paul Jones, the Battle of Flamborough Head, and the historical significance of the battle. The project’s outreach and education efforts met with great success. Nine presentations were made to school groups in Bridlington (England) and the surrounding towns. More than 300 students from ages 9 -17 attended these presentations. A website delivered weekly expedition updates and photos. Three presentations for the public were conducted and expedition team members also spoke at various local meetings. A press conference was held during the expedition, and members of the media were also invited to join the expedition for a day. Press coverage was substantial via television, radio, and newspapers, both in the U.K. and the U.S. The History Channel filmed portions of the expedition for a future documentary. For more information about the expedition and for ways that you can help, please visit: www.bonhommerichard.org.